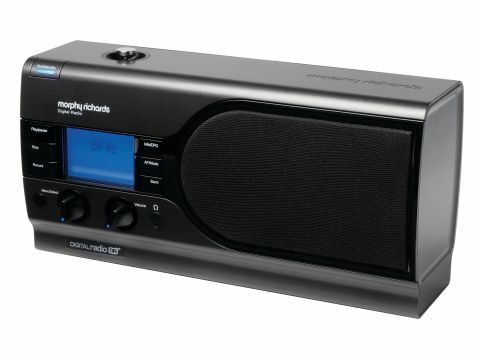 Unless you knew of its hidden talents, you'd never know this sleek black box was anything other than a great DAB radio. Behind its roster of novel features, such as playing MP3 files from a SD card or iPod, is a nifty tuning talent that makes it possible to listen to analogue radio stations from anywhere in the world. Everyday use will be DAB, but delve into the menus and you'll find manual tuning that gets you access to MW, LW and SW. The system uses a digital radio mondiale (DRM) module that converts these analogue stations into digital format for clearer sound. There's no autotune, so you will have to manually trawl through the frequencies to find stations like BBC World Service or France's RTL. Better still, the unit also benefits from a SD/MMC card slot and an electronic programme guide. It's possible to browse the EPG for up to seven days ahead and schedule recordings to be recorded - in MP2 format - onto a memory card, although note that no card is included in the box. There's no internal memory either, so make sure you buy a memory card if you want to make any sort of recordings, including using the unit's dedicated controls for either recordings or pausing live radio. When recording commences (only possible on DAB or DRM stations), the blue backlit LCD screen glows red. Note that it's not possible to rewind live radio, unless you're already recording it, and that you can only pause DAB radio for a little over five minutes (30mins for DRM stations). If you accidentally choose to record while listening to an AM station, the unit should find the identical station on DAB, and start recording it. In practice, this didn't work for us when selecting Radio 5 Live on AM. Aside from its geographic and recording talents, the DRM radio is also versatile. A line in and line out in the radio's rear make it possible to attach an iPod, a laptop, PC or CD player, while also being able to route sound to an external amplifier if you so wish. Sound quality is crisp and precise, and although the DRM doesn't actually produce anything like CD-quality sound from LW or MW stations, music on DAB stations is well rounded and retains its coherence at high volumes. The tuning knob is far too small for indulging in manual tuning, essential to the DRM aspect of this unit, and the blue LCD screen is set back too much, making it hard to read from anywhere other than at eyeline. But these are our only criticisms of what is a well constructed and fully featured digital radio.